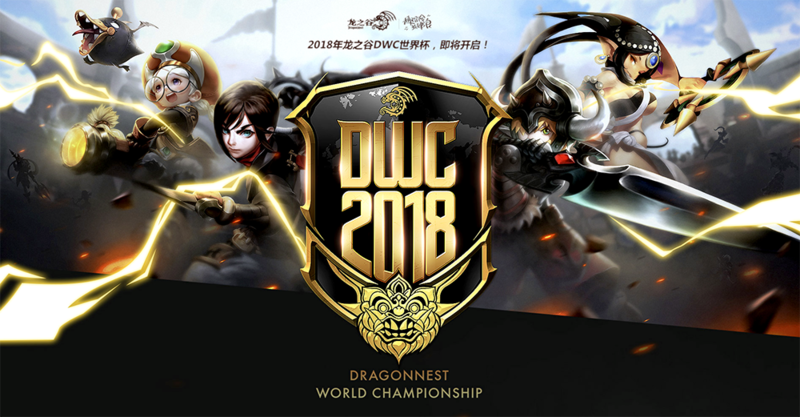 DWC is an abbreviation for Dragon Nest World Championship. 1st DWC was held in China in 2013. 2nd DWC was held in Indonesia in 2014. 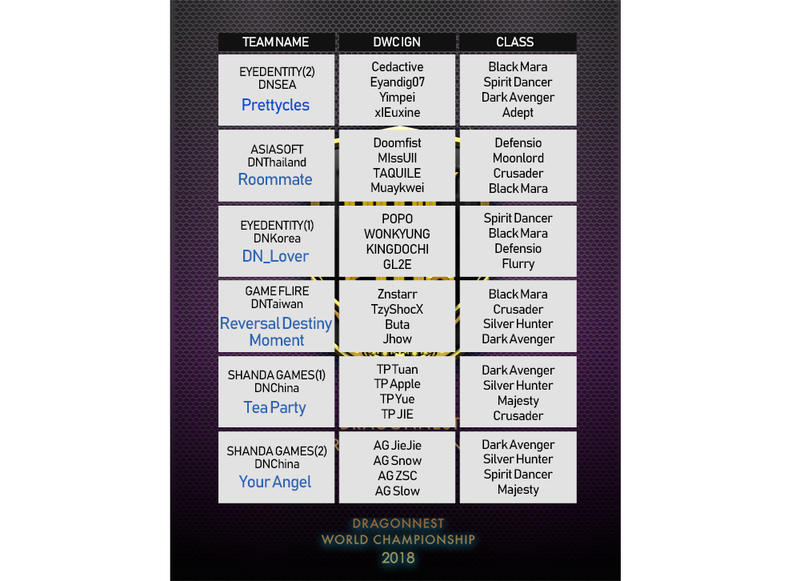 During our long period of game service, DWC has been a festival for everyone, an offline event to celebrate and get the heart racing in all Dragon Nest users all around the world. And finally, DWC will be held in China on December, 2018. The 2018 DWC will be the battlefield for a total of six teams on the final round to become the world’s best. Now, it is your time to grasp this chance to become the best team. AND ON SUNDAY 9TH DECEMBER, THE LAST FOUR TEAMS SHOWDOWN. • The match mode will be in the following order: Captain > Kill All > Round > Kill All > Captain. • The team that loses in the Kill All mode will select the next match’s map. • 2 teams that acquire the highest Points will go to the semi-finals. - Main Points : Regardless of match mode, 1 Point for winning, 0 Point for losing. • If more than 2 teams within a group acquire same point, ranking will be decided by Small Points. 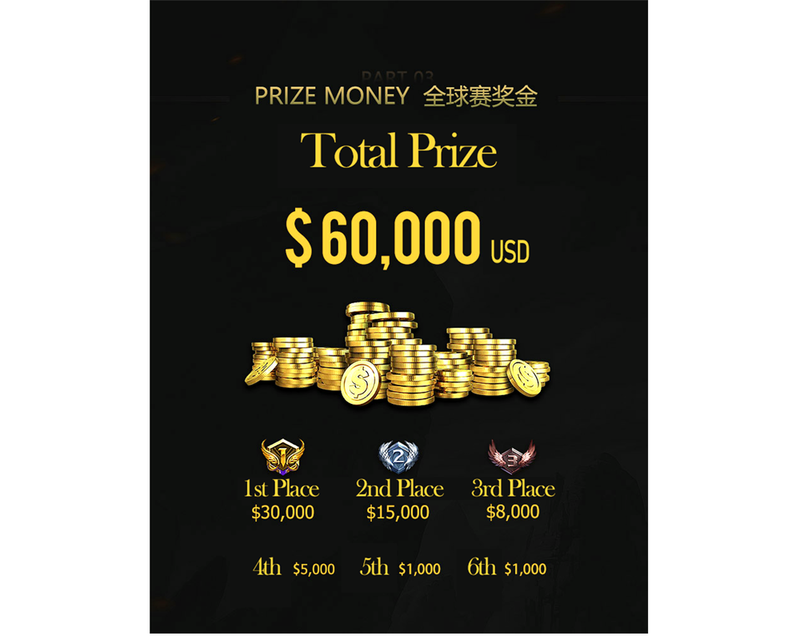 • If there are 2 teams that acquired same amount of Small Points, the tie-breaker will be a Sudden Death Match in the Kill All mode (Winner will be decided by one match). • Semi-finals will be a tournament system. • Winners go to the Finals; defeated teams go to 3rd place match. • Finals will be a tournament system. • The winners of the Semi-Finals will fight each other. Don't forget to witness it LIVE this weekend!